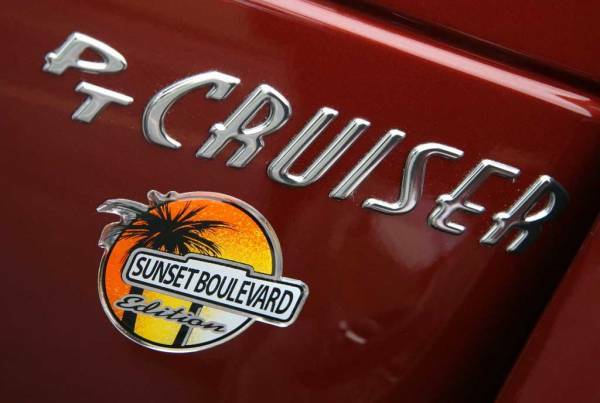 There's something about cruising that's made it one of the most popular of American pastimes - and maintained demand for the retro-styled PT Cruiser, year after year after year. Despite endless speculation that Chrysler would pull the plug on the quirky five-door, the Cruiser will be back for 2008 - and likely for at least another year after that. So, to mark the occasion, the automaker has pulled the wraps off the latest in a long-running series of Special Edition models, less-than-coincidentally, just in time for Detroit 's annual Woodward Dream Cruise. This will be the eleventh special-edition versions of the retro-mobile, which have so far included four Woodward Cruisers and two Street Cruisers, each distinguished by one-off paint jobs, exterior and interior trim, and other special features. 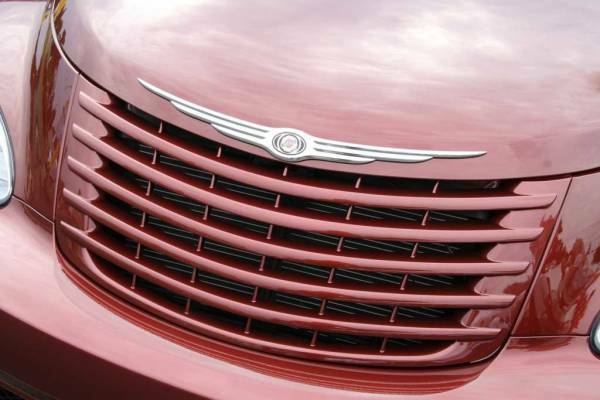 The latest model, given the oddly ungainly name, PT Cruiser Sunset Boulevard Edition, has been bathed in warm "Sunset Crystal" paint and given a unique, five-bar grille, along with special badges and trim, and brightly chromed 16-inch wheels. Inside, the Sunset Boulevard Edition features sporty cloth seats, silk-finished sill plates, a chromed gauge bezel, and painted dashboard accents that match the exterior color. 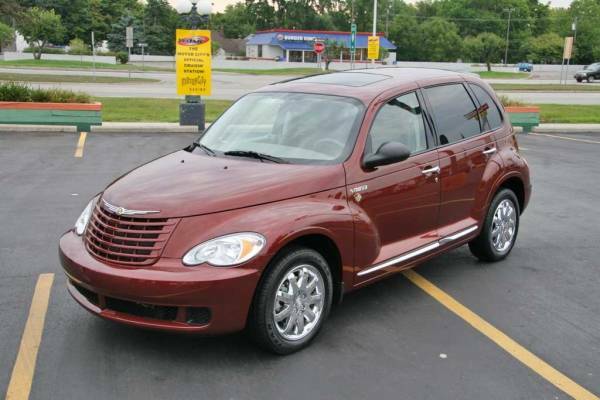 The new limited-edition model started out as a base PT Cruiser LX, but it gets a variety of upscale standard features, including a sunroof, power windows and mirrors, an AM/FM/CD audio system with MP3 input, and a tilt steering column. With a five-speed manual mated to the LX's 150-hp, 2.4-liter in-line four, the Sunset Boulevard Edition goes for $16,650. A four-speed automatic brings the price up to $17,475. Both those numbers are $995 over the standard Cruiser LX - the same as you'd pay for the optional sunroof alone. Using the modified 2008 federal mileage standards, the stick version gets 21 mpg city, 26 mpg highway. 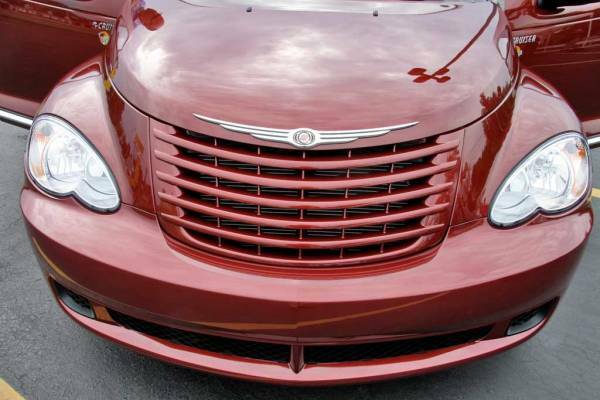 Though Chrysler makes much of these special editions, the reality is that almost everything is cosmetic, product chief Larry Lyons noting that over a more than eight-year run, "We have not changed one piece of (exterior sheet) metal on this car." 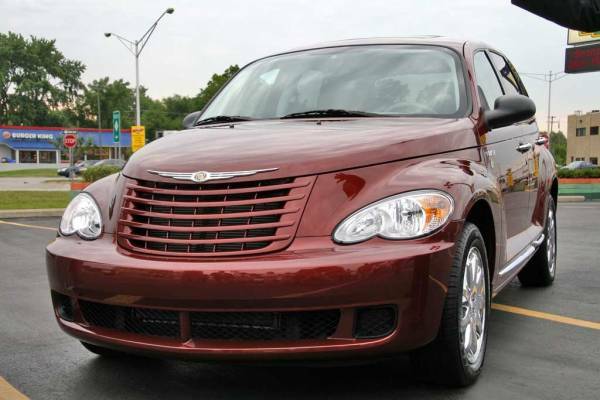 That's a testament to the demand for the PT Cruiser, now the oldest model in the entire Chrysler corporate line-up, having first rolled into U.S. showrooms in April of 2000. How much longer it'll be around, company officials aren't saying, though Lyons hinted that "We'll see you again next year" with another special-edition spin-off that will carry a 2009 model-year designation. "At some point," the executive acknowledged, "there wouldn't be enough (demand) but no one believed we'd ever sell as many as we have so far, including myself." Since its debut, Chrysler has pumped out 1.2 million Cruisers, and sales have been running at a steady 140,000 annual pace for the last several years. The choice of names shouldn't come as a surprise. "California," a market where domestic products are notable in their absence, "is our biggest market for the PT," said Lyons. The automaker only expects to produce about 500 of the Sunset Boulevard Edition, though. By comparison, Chrysler has sold as many as 11,000 copies of some of the earlier limited-edition spin-offs. Boring..boring..boring...same old style nothing creative!! If they (Chrysler ) had any wits, they would take a gander at some of the modified units at some of the Cruise events ...then produce a model or theme perhaps..just perhaps they would put a shot of juice back into a wonderful car and a great concept..a Retro yet modern set of wheels that promotes the "CRUISING" of yesteryear!..not a boring clone of the base 4 door! Nice color, but it seems like just some fancy Badge Work to sell it, It's Basically a Sticker... Nothing new here...Chrysler needs to try harder then a Pretty Name and set of wheels. To each his own. I disagree with Bob. Maybe it's a little different in person than the pictures. I'm still old school PT. 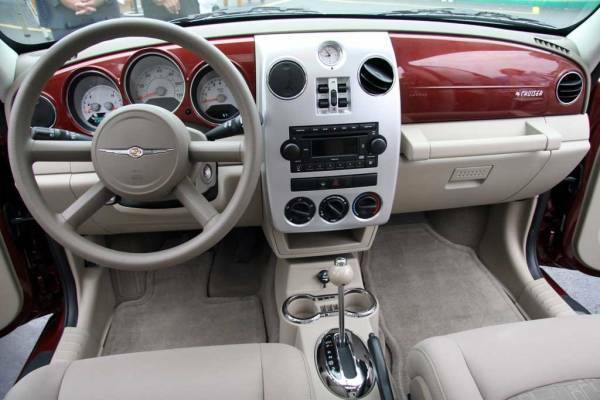 I don't like what the new owners have done with the body style or interior of the "retro" PT. Now maybe it was penned way before Chrysler was sold to the non-car new owners and in that case, I can see why Chrysler is going down the drain. They upgraded a retro theme with new styles both inside and out and now have a mixture that IMHO doesn't fit into either style. I think they're selling fairly well but probably because you can pick them up cheap and people still think they get great gas mileage because it's a little car. These pictures above do not do justice to the color of the Sunset Crystal pearl. It really sparkles beautifully in the sunlight and I receive a lot of compliments at the car shows. People want to know if it's a custom paint job. Last edited by Coppertop; 15 Feb 2013 at 10:12 am. Reason: picture no longer available on webshots.